As some of you might know, I love Chicken! I loved it grilled, roasted, stewed, in curries, in pies, anything really! Just a shame chickens are animals! Sorry to all vegetarian and vegan friends! 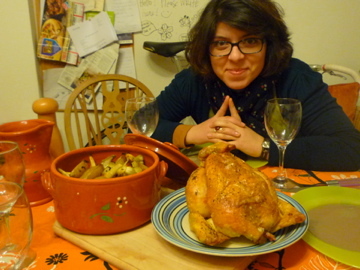 The Second best chicken is the one I ate years ago on a summer holiday in Perpignan - France. We got this chicken from a little van set by the motorway and still today I remember its taste! 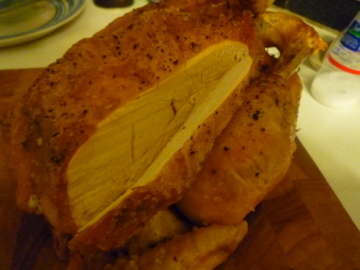 This chicken had lots of herbs, it was juicy and so crispy! 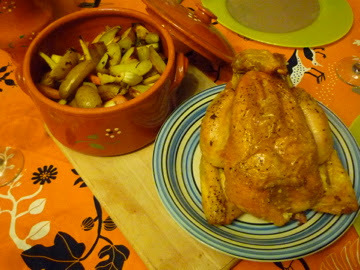 Every time I roast chicken myself, I try to get the flavors right and i try to recreate the chicken from Perpignan. This Sunday's roast was very close! Our special guest, Do Not Push My Buttons couldn't have enough of my sunday roast!